Do those Kafwa ever sleep? 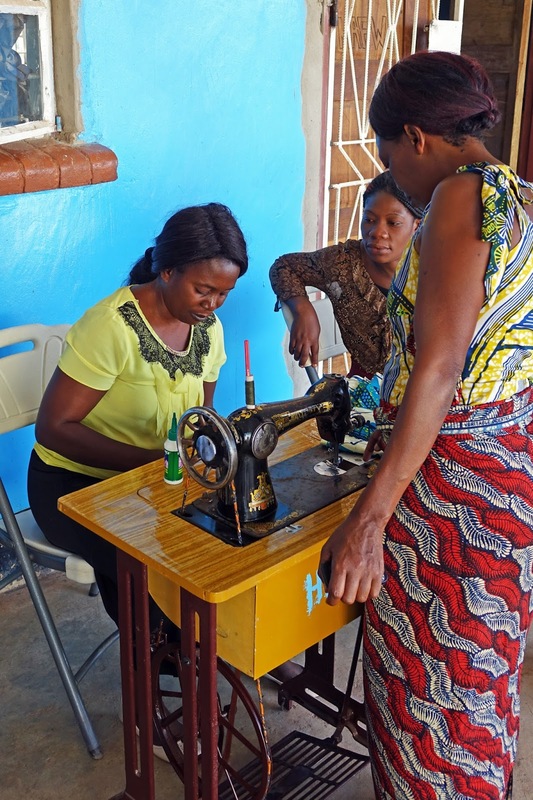 In addition to running a palliative care program for 30 clients, cooking porridge lunches at the school, raising lush greens in the garden, helping with the GAP program, and running a grief support program for the orphans, they've added another program to their repertoire. They are sewing uniforms for the orphans. They were able to make and sell 10 uniforms for $3.50 each. For the orphans, however, that is a prohibitive sum. So the Kafwa decided to raise money to purchase fabric by renting the Kafwa Center for community meetings. They then donate their time to make the uniforms and give them to the children. So far they've donated 25 uniforms. Uniforms are no small thing! They are proudly worn to announce to the community that a child is enrolled in school, and in this case, a really good school! What would we do without Kafwa?